Are you looking for a Best DSLR Cameras under 50000? We have got you covered with our list of top DSLR along with their features, specs, pros cons and prices. These DSLR cameras are of Canon, Nikon and Sony and are priced from Rs. 35000 to 50000 in India. All these cameras offer latest features and can take beautiful photos and breathtaking videos. In this article, we cover the detailed comparison of the processors in limelight for the phones in 10000 to 20000 price range: Qualcomm Snapdragon 660 vs Snapdragon 675 vs Helios P70 processors. A point by point comparison of cpu, gpu performance, camera, connectivity, audio quality and benchmarks is covered here. In this article we take a look at 13 ways to secure your android phone from all kinds of cyber-security threats like hacking, virus/malware and theft. Various ways like find my phone, two factor authentication, disabling unknown sources, using Google Play protect which can help to protect users data are listed here. In this article, we list down the best car chargers in India as of 2019. We have listed the specs and features of the 9 best car mobile chargers. These car chargers are priced between Rs. 300 and 1000 and most of them offer dual USB ports with Qualcomm Quick Charge 2.0 or 3.0 technology for fast charging. These chargers are suitable for both Apple iPhones and Android phones. In this blogpost, we take a look at the 9 best wireless bluetooth earphones & headphones under 2000 in India 2019. These earphone and headphone use bluetooth technology to connect to your phone and stream music. If you are a regular wired earphone user, you would love the wireless experience. In this article, we bring you the top 8 wireless chargers in India as of 2019 for Apple iPhones and Android Phones like Samsung S8, S9, S10, LG G7, Google Pixel etc. These have been listed based on the pricing and the features they offer. If you have a phone which supports wireless charging, then this article will help you find best wireless chargers under Rs. 1000, 1500, 2000, 5000 and 7000. This article helps you with the Best Bluetooth speakers under 1000. Portable BT speakers from F&D, Portronics, Zoook, boAt, Logitech, Blaupunkt and iBall have made it to the top 7 list. We have covered review of each of these speakers along with basic details of the design and battery life. Portable wireless speakers have been in trend from last 2 years and if you have finally decide to buy one then take a look at our list of best bluetooth speakers under 5000 in India 2019. The list is updated with latest bluetooth speakers from JBL, Philips, Sony launched in 2019 or before. All these speakers deliver incredible sound with good bass. Battery backup is 6 hours in most cases. Everyone loves music and In this article, we bring you the list and brief reviews of best headphones and earphones under 3000 in India 2019. This list has 4 earphones and 3 headphones. Both wired and wireless bluetooth earphones/headphones have been covered in this article from brands like Sony, Samsumg, boAt, Brainwavz and Motorola. In this article, we bring you the list of best bluetooth speakers under 2000 in India 2019 which deliver great quality sound with high bass. This list consists of Bluetooth speakers from Blaupunkt, Logitech, Portronics, Boat, JBL and Zoook, alongwith their reviews, specs, features and pros cons.. Looking for a portable bluetooth speaker under 3k? Take a look at our list of top 5 best bluetooth speakers under 3000 in India 2019. The list is updated with all latest speakers launched in 2019 or before. Portable speakers with great sound quality and deep bass from brands like JBL, Sony, Philips, Logitech, Boat and Portronics have been covered in this article. This article brings the types of earphones available and how one should select the best one in 2019. We have covered the factors that affect the choice of headphones followed by a list of top earphones under 1000, 2000 and 3000 available in India. A list of top 8 best earphones under 1500 and 2000 available in India as of February 2019. Best earphones from brands like Sony, Skullcandy, Soundmagic, Sennheiser, and Audio technicia have been listed in this article. All these earphones have excellent sound quality and provide an immersive listening experience. Looking for a DSLR under 40000? Take a look at our list of 6 best dslr cameras under 35000-40000 available in India as of February 2019. Best DSLRs from brands like Nikon, Canon, Sony have been listed after getting reviewed by experts. Price of DSLRs on the list varies from Rs. 30000 to Rs. 45000. Couple of options around Rs. 35000 are also provided. In this article we discuss various types of earphones and headphones and how to select the best ones according to their specifications. After that we take look at the top 9 best earphones under 1000 available in India as of January 2019. These earphones deliver immersive audio experience without breaking the bank. World is getting tech savvy and Virtual reality is a hot topic. In this article we take a look at the best VR headsets in India 2019. We are listing the top 6 VR (Virutal Reality) headsets available in India which can redefine your viewing experience. We have covered the reviews, pros and cons of best vr headests under 1000, 2000, 3000 and 5000 are covered. The Redmi Note 6 Pro comes with a few improvement over the Redmi Note 5 Pro which was one of the best selling smartphone of 2018. Xiaomi sold more than 50 Lakhs units in just 6 months. The major improvement is seen in the camera features with bigger screen and a notch display. Let us take a look at the review and specifications on the budget beast. 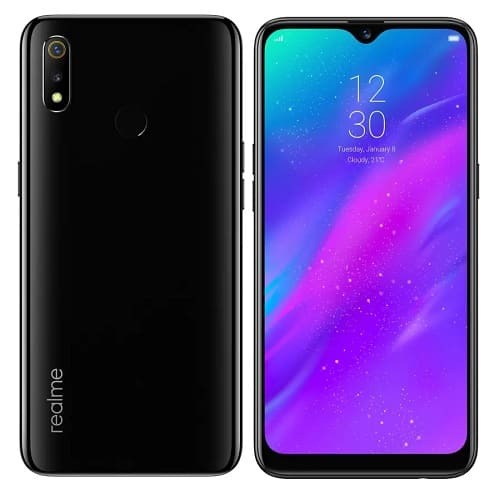 Realme 2 and Realme 2 Pro have taken the smartphone world by storm by offering a very powerful specification at a strong price point. Realme is the new hero and here we bring the Realme 3 and Realme 3 Pro expectations, specifications, features, leaks, price and launch date in India. Realme 3 or the Realme 3 Pro could also feature the OPPO proprietary VOOC Charging. In this article, we bring you the top 8 best cases and covers for the latest Realme 2 and Realme 2 Pro smartphones. Both phones have received tremendous response in first few sales and have becomes bestsellers in India. We have covered various types of cases and covers like TPU, Flip cover, and the shock proof armor cases for both of the phones. The price of these cases vary from under Rs. 100 to 500. Nokia 6.1 Plus is the latest offering from Nokia in the midrange smartphone segment. The phones comes with a beautiful glass design and powerful internal hardware. Priced at just 15999, it offers strong competition to phones like Redmi Note 5 Pro. In this article we take a look at the detailed review of Nokia 6.1 Plus. We have covered overall performance with camera samples, benchmark scores and battery charging and discharging tests. What is the meaning of IP67 or IP68 Waterproof certifications? Can you use your device while swimming? Here's all you need to know about IP ratings. Latest IP Rated smartphones are also covered. Honor has come with a new smartphone in the entry level budget segment: the Honor 7S. Honor 7S comes with a 5.45 inch 18:9 display, a decent set of cameras and provides great value for money. Take a look at the detailed review of Honor 7S where we go through its performance in various areas like multitasking, gaming, camera, battery and a brief comparison with Redmi 5A is also provided. We take a look at the latest offering in the Qualcomm Snapdragon 600 series processors and the all latest Snapdragon 710. Comparison of Snapdragon 625 vs 626 vs 630 vs 660 vs 636 vs 710 is provided with respect to CPU and GPU performance, camera, memory, charging and cellular support. Antutu and Geekbench Scores are provided as well. Realme 2 the successor of Realme 1 is going to launch soon in India. Oppo launched Realme as a sub-brand to take on Xiaomi and Honor in the under 20000 category and their first phone Realme 1 was priced very aggressively and offered high value for money. In this article, we cover the detailed comparison of the Samsung Exynos 7870 vs Qualcomm Snapdragon 636. Exynos 7870 is the favorite processor for Samsung for its budget smartphone with price ranging from 10000 to 20000. While Snapdragon 636 is the new love for budget smartphone as seen in Redmi Note 5 Pro and Asus Zenfone Max Pro M1. In this article we will compare the CPU, GPU, manufacturing process, benchmarks, power consumption of both processors. Nokia X6 is the next smartphone to be launched in India from HDM global. Here we cover the confirmed specifications and expected India launch date and pricing. For the pricing of under 15000 to 20000, the smartphone seems to be a bang for money with Snapdragon 636, a beautiful Notch type Full HD plus display and an amazing build quality and is set to give strict competition to Note 5 Pro and Zenfone Max Pro . Mi A2 has been launched and brings in some very great features and strong specifications at a very attractive price. We know you all love Xiaomi and here we bring everything you can expect for the Xiaomi MI A3. Here we cover the features, specifications, price in India and expected launch date in India. In this post, we bring you the all awaited features of the MIUI 10. Xiaomi has made a strong mark in the smartphone industry and has updated itself to suit users requirements. With MIUI 10, it does the same and brings in some great and smooth features. Read all about the top features, tips and tricks in the MIUI 10. Here we review the latest sensation from Asus, the Asus Zenfone Max Pro M1. This is a detailed review where we covered various aspects like design and build quality, its performance, camera, software features, battery, charging and the pricing. Selfie camera comparison with Redmi Note 5 Pro is also provided. Samsung Galaxy A6 and A6+ are the latest midrange devices from Samsung. In this article we take a look at the impressions and review of Samsung Galaxy A6 which comes with a 18:9 aspect ratio display, premium design and great cameras. Should you buy it? Take a look at our review. In this article we have listed the things you should keep in mind before buying a smartwatch and the top 7 best smartwatches available in India as of May 2018. Take a look at the best smartwatch under 5000, 10000, 15000, 20000 and 30000. In the blogpost, we bring you the list of best offer available in Flipkart Big Shopping Days Sale. We have covered offers on Mobiles Phones, Refrigerators, Air Conditioner, Laptops, Washing Machine, Clothing, Accessories, Home Decor with various price categories of under 10000, under 20000, under 30000, under 40000 and so on There is a flat 10% discount using HDFC card. Stay tuned for best deals in Flipkart offers. Qualcomm has already announced the Snapdragon 700 series mobile platform which is expected to bridge the gap between midrange Snapdragon 600 and flagship 800 Series. In this exclusive article we take a look at the details and specifications of the upcoming Snapdragon 710 and 730 chipsets. Flipkart Big Shopping Days Sale is Coming! Check out the details. Flipkart is going to have Big Shopping Days Sale from 13th May till 16th May. Check out the expected deals and offers on various products like Smartphones, Laptops, Clothing and more. Subscribe to our WhatsApp channel to get deals on your smartphone. Xiaomi launched the Mi A1 in September last year and this year they will be bringing Redmi Mi A2 with stock android, dual camera and bezel-less display. Take a look at our article to know the expected price in India, release date, features, specifications and rumors on Mi A2. Qualcomm 600 series chipsets can be found in almost every other mid-range smartphone. Huawei has included its HiSilicon Kirin 659 chipset in all of its midrange phones. And now MediaTek Helio P60 has started its rule in the market with some stunning features and performance. In this article we take a look at the detailed comparison of Snapdragon 630 vs Snapdragon 636 vs HiSilicon Kirin 659 vs MediaTek Helio P60 chipsets. 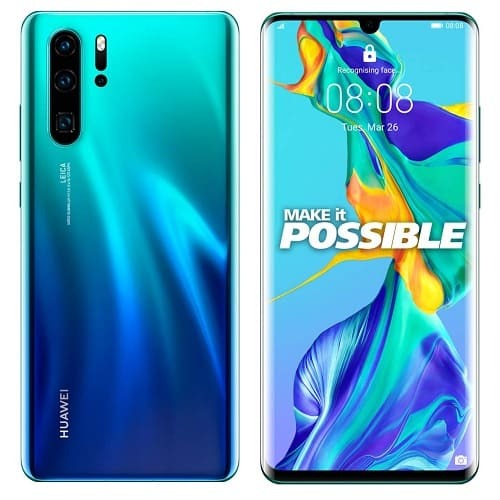 Huawei has launched 2 latest flagship smartphones: Huawei P20 and Huawei P20 Pro. Both phones come with a notch on the display just like iPhone X. The Pro variant has an interesting triple camera setup. Take a look at the specifications and features of both phones. Thinking of buying a smart speaker for your home and confused between Google Home and Amazon Echo? Take a look at our detailed comparison of Google Home Mini vs Amazon Echo Dot both of which were launched recently in India at a price of under Rs. 5000. Looking for a flagship smartphone with a great camera? Take a look at our ultimate camera comparison of the best flagships available in market: Google Pixel 2 vs Samsung Galaxy S9 Plus vs Apple iPhone X. In this article we compare the specifications and camera performance of these 3 smartphones in detail. Samsung has launched its next premium flagship phones with Samsung Galaxy S9 and S9 plus. Here we bring the detailed reviews of both the phones which covers the features, specifications, reviews and how they compete and compare with other flagship phone of 2018. Latest smartphones are coming up with two types of image stabilization: electronic and optical. In this article we take a look at the comparison of Electonic image stabilization and optical image stabilization. EIS vs OIS is going be a hot topic soon because even the budget phones have started supporting EIS. OnePlus 6 will be the next flagship from OnePlus. In this article we take a look at the expected price in India of the OnePlus 6, release date, specifications, features and more. Latest rumors about the under the display fingerprint scanner has been added with leaked antutu benchmark scores and renders of Oppo R15 which may look similar to OnePlus 6. Asus has launched the all new Asus Zenfone 5 series smartphones. In this article we take a look at the design, hardware, features and specs of Asus Zenfone 5 and Zenfone 5Z. Both come with a large bezel-less display and a notch on the top similar to iphone X. Expected price in India and release date is also provided. Redmi Note 5 Pro Review: The Best Smartphone Under 15000 Ever? Redmi Note 5 Pro is the latest smartphone from Xiaomi in the under 15000 category in India. It comes with Snapdragon 636 chipset, dual camera, bezel-less full view display. We take a look at its detailed review, battery test, camera samples, benchmark results and more. Digital Single Lens Reflex Cameras have gone mainstream in recent years. This article is a treatise on how to buy the best DSLR. You will find details on why DSLR cameras are much better than smartphones cameras and a list of things you should consider before buying a DSLR. Honor 9 Lite was launched recently in India at a price of under Rs. 15000 for 32GB and 64GB variants. In this article we take a look at best cases and back covers available for Honor 9 Lite. We have included transparent cases. printed back covers, flip covers and armor cases. After the success of Redmi Note 4, Xiaomi will be launching Redmi Note 5 in India. We take a look at the expected release date in India, Price, Specs and Review. Xiaomi will be launching a new series of smartphones called Xiaomi R1 or Redmi R1. The latests renders show that it will have a bezel-less display on the front. Take a look at its price in India, release date, specs and more. We look at the expected release of Motorola Moto G6 in India, price of various variants and top features and specifications. Moto G6 Plus will be the successor to Moto G5 Plus which was launched in March 2017. Leaked images of Moto G6 Plus have been added. Huawei Honor 9 Lite Review: The Best Budget Smartphone of 2018 ? This article captures the details of one of the growing need, the media streaming devices. Here we bring you the reviews and details along with with complete comparison of various media streaming devices like Google Chromecast 2 vs Apple Tv vs Amazon Fire Stick vs Roku Streaming device. Flipkart Sale is back in January 2018. Flipkart Republic Day sale is from 21st to 24th January. Take a look at the best offers and deals available on smartphones, laptops and other categories. If you are planning to buy a smartwatch then take a look at our article. This is a buyers guide to select the perfect smartwatch. If you don't know how to select the best smartwatch and what all you should consider before buying it then this article is for you. We have also listed our best picks available in India. Honor 7X has been launched in India as Amazon exclusive device. We take a look at it's price in India, launch date, specifications and review. Available variants and launch offers have been added. In this post, we bring you the upcoming smartphones to be launched in India in 2018. The list contains phones with bezel less display and dual camera which was the hottest trend of late 2017 and will be followed in 2018 as well with improved features and specifications. We have curated a list of 6 best smartphones under Rs 25000. Brands like Samsung, Motorola, Honor, OnePlus, and Asus have made it to our list. Dual camera bezel-less phones have also been added. In this article, we answer the questions like what is antutu or geekbench benchmark? How it works and is it important? The benchmarks scores like Antutu, Geekbench looks good in number but to a user, they are just the numbers, the higher the better. Here we decode what the benchmarks score mean. Lets find out. In this article we have discussed the changes and improvements in the latest Qualcomm Snapdragon 845. Plus a detailed comparison of Snapdragon 835 vs Snapdragon 845 vs Huawei Kirin 970 vs A11 bionic from Apple is provided. HTC upcoming flagship device, U12 has got its first render look in the first week of 2018. Recently in news, the device is expected to have a 4K display upfront fuelled with the Snapdragon 845 chipset. 2017 is coming to an end and this post is on Suggest Phone's TBT: The Best Tech Awards 2017. We have covered the best smartphones of the year 2017 in this article. Awards have been given in various categories like best budget smartphone, best camera smartphone, best looking smartphone and so on. Samsung Galaxy A8 and A8+ 2018 have been announced with bezel less infinity displays and dual cameras. In this article we take a look at their features, specifications, expected price in India and release date. Apple acquires Shazam to make its footprint stronger in the music industry. We bring out everything that will change and what it means for Siri and Apple music. Google brings in software focussed Augmented Reality ARCore to take on Apple ARKit and bids farewell to the hardware focused Augmented Reality Project Tango. Android updates have always been really slow. Most manufacturers just don't provide updates after an year on two. Google is trying to change that with Project Treble. Read this article to know what project treble is and how it will change things in future. Here we discuss everything about a power bank, how it works, how to choose a power bank as per your usage and bring you a list of shortlisted power bank. After making a decent comeback in the smartphone industry, Nokia is going to dent the flagship smartphone market with launch of Nokia 8 2018 and Nokia 9. We take a look at it's expected price, release date, specs, features and review. MIUI 9 is the latest android skin from Xiaomi based on Android 7.1. We take a look at the top hidden features, fixes, and tips tricks of MIUI 9. List of devices that will be upgraded to MIUI 9 is also added. Moto G5S Plus and Mi A1 have been launched recently with dual camera setup on the back. We compare the overall performance of these two midrange smartphones. In this article, we bring the comparison of the two recently launched Smartphones : Honor 9i and Mi A1. Both phones comes with dual camera on the back and are priced under 20000 in India. OnePlus has launched the latest OnePlus 5T with a 6 inch 18:9 bezel-less display. The OnePlus 5T costs just 32999 in India and gives tough competition to iPhone X which is priced at 89000. Take a look at the features and camera comparison plus a speed test as well. Apple will be launching a bigger version of iPhone X called the iPhone X Plus in 2018. We take a look at it's expected price in India, specifications, images and release date. OnePlus has launched the latest OnePlus 5T with a 6 inch 18:9 bezel-less display. Take a look at it's design, specs, price in India and other improvements. Razer Phone is the next flagship to be launched and we cover here all the details of design, camera, processor, reviews and specifications. Expected India launch date and price has also been covered. OnePlus is going to launch OnePlus 5T next month. We take a look at it's expected price, release date, specs, features and review. Nokia 2 vs Redmi 4 vs Redmi 4A vs Moto C Plus is a detailed comparison of best budget devices available in India. All these smartphones are available in under 10000 budget segment in India. iPhone X Face ID: How it works and How accurate is it? Here we bring you how iPhone X face id works and how accurate it is. Find out. A detailed comparison of Apple iPhone X and Google Pixel 2 XL. All aspects of both smartphones has been compared in detailed in this article. This is a battle of the best of two worlds. Here is a list of best battery backup smartphones under 15000. Phones from brands like Mi, Lenovo, Motorola, Tenor, and Coolpad have made it to our list of best backup phones. List of best cases and covers available for Lenovo K8 Plus. Printed back cover, armor case, transparent case, brushed finish cover and flip covers have been listed. Amazon India has launched its range of Alexa Echo Smart Speakers in India. See pricing and features of echo speakers launched. We have compiled a list of 7 best cases and covers available for Redmi Note 4. Various types of options have been provided like armor case, printed case, flip cover. We take a look inside the latest Apple iPhone 8. Screen and battery replacement explained in this tear down video. A list of upcoming offers on smartphones during the Big Billion Days sale on Flipkart. Details of latest launches, SBI discounts, extra off on exchange of smartphones. List of best available top offers and deals on smartphones at flipkart during big billion days sale. Smartphones of all brands like Samsung, Redmi, Lenovo, Motorola listed. Apple has slashed the prices of iPhone 6S, 6S PLUS, 7 and 7 Plus after the launch of iPhone 8. Prices of iPhone SE have not changed. This articles brings the best deals of Samsung phones from Flipkart Big Billion Sale. Smartphones in all ranges have been covered in this article.